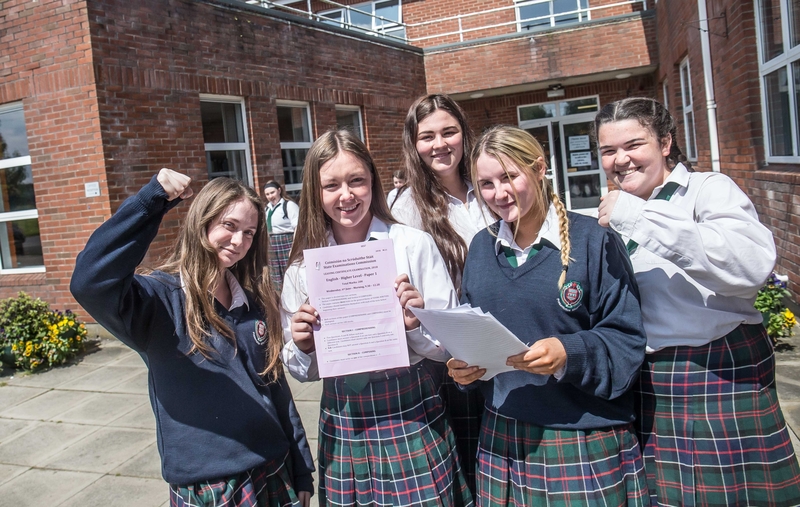 It never fails: As soon as the starting pistol is fired on the Leaving Cert and Junior Cert exams in June, the sun is out and the mercury begins to rise. The first exam started at 9.30am this morning, with English Paper 1. The girls from Presentation Secondary School in Loughboy took a few moments afterwards to discuss the paper and take in some of the sunshine. And, it looks like the good weather is to continue for the first three days at least, with temperatures set to be in the 20s for the remainder of the week. According to Met Eireann, Maximum temperatures today will range 20 to 24 degrees in light variable breezes inland, but a little cooler once again near east and north coasts affected by onshore east to northeast breezes. There will be a few showers on Thursday, possibly heavy, breaking out in places in the afternoon but most areas will stay dry. Temperatures in the low twenties inland, fresher around the coasts with sea breezes with temperatures in the high teens in these parts. Mild, humid and misty overnight with fog developing and lows in double figures. Met Eireann is expecting the good weather to continue on Friday for most with sunny spells and light winds. Once again there will be the risk of a few showers bubbling up in places during the afternoon but many areas staying dry.